There is a lot to consider before buying a shop. Find out what. Buying a shop is an exciting prospect because of the amount of choice that you have within this sector. You will need to decide what kind of shop you want, what kind of product you are going to be selling and who your customers are going to be. All these decisions will impact the others and so you need to think long and hard about the kind of shop that will be right for you. There has been a growth in retail sales in Canada since 2016. This has been influenced by an increase in population and employment. Canadian consumers are interested in buying unique products and items from smaller retail outlets. This is good news for anyone wanting to buy a shop as they can attract customers by appealing to this sensibility. Malls throughout Canada have continued to attract customers at an impressive rate. Some Canadian malls rank amongst the highest globally when it comes to the number of annual visitors. When you’re trying to decide on which shop to buy the most important thing to consider is the location. This will have a huge effect on how you’re shop does. In order to select the right location, you have to know who it is that you are trying to attract. You will also have to be realistic about the amount of space that you will need for your shop. This will depend on what you are selling and how much stock you need. You can cut down on shop size if you introduce an online element to your business. 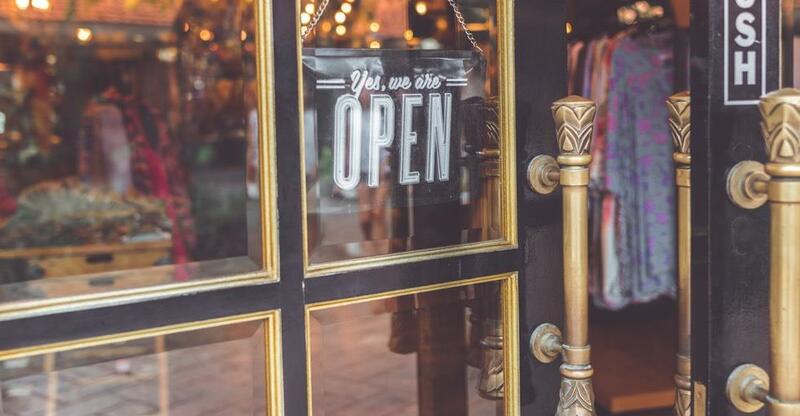 The type of customer will also affect the kind of building that you choose to set up shop in because this can drastically change the aesthetic of your business. You need to have an in-depth knowledge of the market that you are going to be operating in if you want to be able to appeal to the consumers in that area. There are a few skills that you will need to have if you are going to run a profitable retail store. Having an understanding of marketing and general business skills is important. You will need to always be on top of your costs versus the money that is coming into the shop. Having a general sense of accountancy can, therefore, be very helpful. It is important that you understand what it is that your customers want and how it is that you are going to give this to them. You will have to be good at customer service so that you can keep your customers happy and coming back. Consumers are more likely than ever to move on from a brand if they don’t like the experience that they had so you need to make sure that their experience is a great one. There are a few challenges that the retail industry has experienced in Canada in the last few years. Online shopping has grown to point that it is affecting the profitability of brick and mortar shops. This is something that retailers could work with rather than against by creating an online facet of your business. Make sure that you understand how you can extend your business through an active online presence. It is also going to be more significant to create an ‘experience’ for your customer. Think about how you are going to appeal to your customers and keep them loyal, particularly with the growing millennial consumer base. The retail industry can be a difficult one and there are a lot of challenges that will spring up along the way. These challenges will most likely be able to be handled if you do as much research as possible before you buy a business. Have a thoroughly researched business plan and get to know who your competition is so that you know how to make sure that you buy the right shop for you.